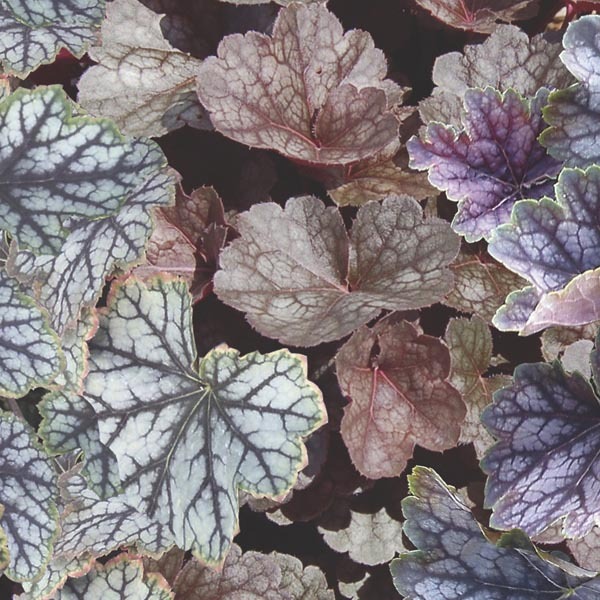 The foliage of Coral Bells can be so beautiful it easily replaces flowers for adding color to the landscape. Leaf colors range from green to burgundy to silver with all variations and blends in between. One of the best perennials for long-lasting interest in the garden or in containers. The flowers are small but are much loved by hummingbirds. Makes a dependable mixed border plant. Looks great in woodland settings. Perfectly sized for rock gardens and border fronts. Excellent cut flowers. Very easy to grow in virtually any location. Best in fertile, humus-rich, well-drained soil. Will tolerate sunnier aspects if given ample water. Remove faded flowers for best display.